Payment options, Information and Advice for your Safari, Gorilla Trek and Car Rental in Uganda. Uganda Wildlife Safari, Gorilla and Chimpanzee Tracking (Trekking) permit payment options with Lifetime Experience Safaris. Can I use my Credit Card to pay for Safari in Uganda? Not quite many bank machines will accept your bank (ATM) or Credit card(s) for withdrawing cash in Uganda. While you can withdraw a limited amount of money each day from the bank machine in Kampala, there are not many chances that you will be able to withdraw cash once you are on safari in Uganda. If you have no other choice, the first choice of Credit Cards here is Visa and secondly Master Card. Payment by credit card in Uganda can attract additional bank surcharge of between 5 to even 10%, occasionally more. 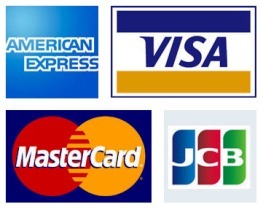 Our bank charges 3.5% for Visa, Visa electron, and 6% MasterCard, Amex, JCB. Lifetime Experience Safaris is ok with any of the 5 credit card payment options above. Online Payment using PesaPal ..."Safari payments just got better"
PesaPal is a new development in East Africa, where PayPal services are inaccessible - You probably never heard about it but its much the same as PayPal but based in Africa. PesaPal gives a chance to pay or send money to Africa online in a safe and a secure manner. 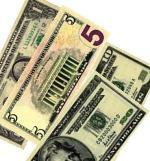 It’s by far the cheapest and easiest option for getting money to us from overseas and many firms use it now. You send money and receive a receipt for your payment. With Pesapal, the cost is 3.5% of the money being transferred and you can pay from anywhere in the world using your Visa or MasterCard. It’s a more convenient option but I can’t say it’s the cheapest since the surcharge varies with the amount being paid. Using this option, you can pay us directly through this website. - Look on the top mene and on the top right is "Payments" click on "Pay Now" from the drop down list and follow the steps by filling in the information as required by the form. Card Verification Number: (example: 962) – your card info is safe and neither stored nor shared with any third party. The money that you pay goes directly into PesaPal’s trust account at a bank in Uganda. We automatically receive notification by both email as soon as the transaction complete. We then transfer the money into our bank account. It takes three - six or more business days for us to access the money at the bank from the time it transfered from the PesaPal trust account to our bank. 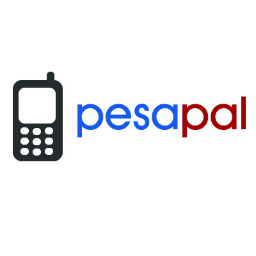 Pesapal was introduced to us from Kenya after several years of operation doing money transfers using mobile phones. Many big firms now use it and my best bet is you will definitely consider this option. Most of our major payments are through Bank Wire/telegraphic transfer (TT) / method. You can wire / telegraphic transfer money directly into our bank account from anywhere around the world by using the information right down below. Note that even when this has been the primary manner in which our customers send down payments including for gorilla and chimp permits, there are costs attached and its best if you compare the various charges you may incur sending the money to us. Bank charges vary depending on your country bank. (Please find details about using this method of payment through your nearest bank). Our bank charges $10 (0.01%) for every $1000 or less wired into the account. We also take cash if this seems to be your better option. Since most of the payments for your safari including accommodations are set in USD that makes it our preferred currency of choice. We also take UK pounds, Euros and Uganda shillings exchanged against the current market rate. If you are paying for your safari or car rental, our agent meets with you at your lodging in Kampala and will issue a receipt to confirm the payment. In strange cases where there is no chance to pay before departing for your safari, you can leave the money with our drive r/guide at the end of your trip but we may need such notice a head of time so the driver/guide leaves our office with your receipt on the first day. You can also come to our Kampala office on Nsabya road (5 - 10 minutes from the city centre). 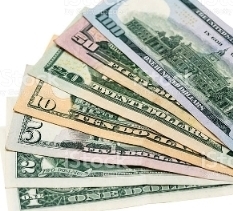 Please note that in Uganda, US dollar bills of 50 and 100 earn better conversion rates than other smaller bills. 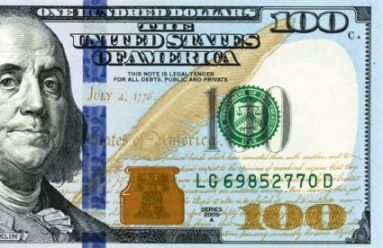 Also, it is important that you obtain dollar bills newer than 2000 and no tears or blemishes on them. Being more particular; bills printed in 2006 or after are acceptable all over Uganda and will be considered with no compromise,.. a “give and take” deal !! This helps your exchange rate and getting them accepted,...why?.... You may visit our monies advisory page for more information, but it’s simply due to forgeries in times past. Paying for your Uganda safari, car rental or lodging ahead of time is really optional. The only money we need from you in advance is that of Gorilla or Chimpanzee tracking permits. We shall secure your permits on receiving your money and keep them till when you arrive. Also, you can choose to wire up your permits' money directly into the Uganda Wildlife Authority (UWA) bank account and they will save the permits for you, however, this can be quite a process since its government owned and managed,.... they mostly deal with cash and on a first – come first – serve plan....sounds easy but may take a month or so from the time of your first contact to the time permits are issued at their head office in Kamwokya, Kampala. This option really works, I love my country “Uganda” but our past experience with many of our customer going through this alternative has not been very pleasant. If you have less than a month and wanting to book gorilla of chimp permits this way,...forget! !...until when this changes.